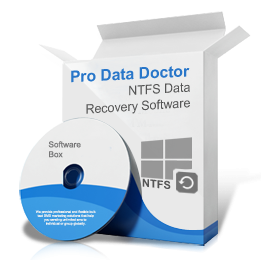 NTFS data recovery software restores files and folders lost or accidentally deleted from PC hard disk. Program recovers deleted, missing or lost data from NTFS and NTFS5 partitioned hard disk drives. ☑ Recovery software works with all major hard disk standards such as SATA, SCSI, ATA, IDE, EIDE, PATA etc. ☑ Recovers files with all major text, audio-video, picture file extensions including doc, txt, html, pdf, aac, mp3, mov, jpeg, gif, png, bmp etc. ☑ Support NTFS and NTFS5 file system. Hard disk drives – SATA, ATA, IDE, EIDE and SCSI disk drives. Hard disk brands – Toshiba, Seagate, Western Digital, Quantum and other brands available in the market. Virus corrupted disk and many more.